South Wales based Indie Game Developers, Wales Interactive, known for their previous title, Master Reboot, has some exciting news. They have announced their new first-person sci-fi adventure game, which will take you on an adventure, where it leads you into the darkest place and go deeper into your soul than you’ve ever been, will be making its way to Early Access. You will need to ready yourself, because there are dangers ahead on “your mission to unlock your identity, your story, your mystery.” You will be able to take on Soul Axiom on PS3, PS4, Xbox One, Wii U, and Early Access via Steam for PC, Mac, and Linux this November 3rd. The full Steam release is shooting for Spring 2015, and no word yet on price for either Early Access version or Full version. As Soul Axiom makes it was to Early Access this November, the players will need to be part of the paradise that their minds are take first in order to feel as if you are in paradise, you must first upload your soul to Elysia, which is named by critics as “the single most important development in the history of the human race” (Era Magazine, 2027). Seems as though with Elysia, you definitely can see what your soul would look like in a Sci-fi game, where Elysia is full of your memories and dreams, with this kind of power, you can make anything become a reality, if you put your mind into it, or in this case put your soul into it. Your soul is like a timeline, you can use the SoulSync system in order to switch from current to possibly just reliving that moment in time. You can find out more information about Soul Axiom on the product page of Wales Interactive’s official page. 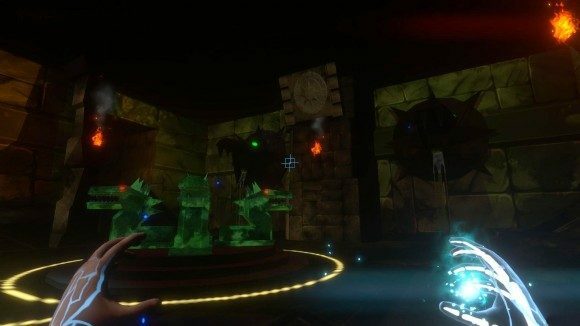 Plus keep up-to-date via liking Wales Interactive on Facebook and following them on Twitter to get more info on Soul Axiom as it comes closer to release on Early Access.